What is Vaccinate Before You Graduate? Vaccinate Before You Graduate (VBYG) is an immunization program in partnership with the RI Department of Health that makes eleven (11) important vaccinations available to all RI middle and high school students at no out-of-pocket cost. These vaccines are given during the school day at clinics throughout the year. 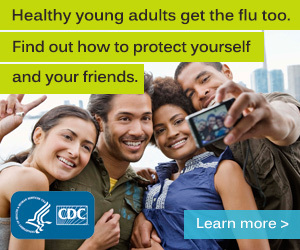 VBYG can bring your teen up-to-date on his/her shots and protect them from serious diseases. Are your student’s vaccinations up-to-date? Your teen is required to have certain immunizations to attend school. If immunizations are missing, the district can exclude your student from school. In addition, your son or daughter may need vaccinations against many of these diseases in order to get a job or attend a college. If you had to pay for all these vaccinations, it could cost as much as $1200 out of pocket! What vaccinations are offered through this program? For more information, parents can read the Vaccine Information Statement (VIS) available for each vaccine by clicking on the vaccine. When is the next VBYG clinic at my teen’s school? Are there fees or insurance requirements? No, there is no out-of-pocket charge for any student for any vaccine. Students are not required to have health insurance. The insurance of those students who have insurance, however, will be collected to offset the cost of vaccine administration. How can I enroll my child in the program?